Dee Dee Ramone, Gründungsmitglied und Bassist der Ramones, ist tot. Dee Dee Ramone, der mit bürgerlichen Namen Douglas Glenn Colvin hieß, starb wahrscheinlich an einer Überdosis Rauschgift, teilte die kalifornische Polizei mit. Weiter heißt es, dass Ramone am Mittwochabend von seiner Frau leblos auf einem Sofa seiner Wohnung in Hollywood gefunden worden sei. Der Rettungsdienst konnte nur noch den Tod feststellen. Neben der Leiche habe ein Spritzenbesteck gelegen. Allerdings sei noch unklar, welche Droge sich Ramone gespritzt habe. Über das Alter von Colvin gibt es bisher widersprüchliche Angaben. Einige Medien melden, dass er 50 Jahre alt geworden sei, andere wiederum, er sei mit 49 Jahren gestorben. Erst vor einem Jahr war Joey Ramone, Sänger der Band, mit 49 Jahren an Krebs gestorben. Die Punk-Gruppe war 1974 von Colvin, John Cummings (Johnny Ramone), Jeff Hyman (Joey Ramone) und Tom Erdelyi (Tommy Ramone) in New York gegründet worden. DEE DEE RAMONE, a founding member of punk pioneers the Ramones, died June 5, 2002 in his Hollywood home, according to a spokesperson for the L.A. County Coroner's office. The bassist was 50. 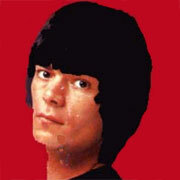 Dee Dee Ramone (born Douglas Glenn Colvin) was found unresponsive by his wife at approximately 8:40 p.m. PT. She then called the Los Angeles Police Department, and L.A. City Fire Department paramedics pronounced him dead at the scene. A cause of death is yet to be determined by the coroner, whose spokesperson said the case will be worked as a possible accidental drug overdose. An autopsy is scheduled for Thursday (June 6). Dee Dee formed the Ramones in the Forest Hills section of Queens, New York, in 1974 with guitarist Johnny Ramone (John Cummings), drummer Tommy Ramone (Tom Erdelyi) and singer Joey Ramone (Jeffrey Hyman), who died of lymphoma last April. During his Ramones tenure, Dee Dee wrote or co-wrote such tunes as "Rockaway Beach," "Strength to Endure," "Too Tough to Die," "Teenage Lobotomy," "Psycho Therapy" and "Chinese Rocks." Dee Dee left the band following the release of 1989's Brain Drain to adopt the persona of rapper Dee Dee King and was replaced by C.J. Ramone (Christopher John Ward). When his rap debut, 1988's Standing in Spotlight, proved less than successful, he formed the Chinese Dragons. Dee Dee returned to the Ramones fold in the '90s, penning "Pet Sematary," the group's musical contribution to the Stephen King film of the same name, and several tracks for the Ramones' studio swan song, 1995's Adios Amigos. He reunited with the Ramones in August 1996 for a show at the Hollywood Palace that featured cameo performances by Pearl Jam's Eddie Vedder, Motörhead's Lemmy Kilmister, Rancid's Lars Frederiksen and Tim Armstrong, and Soundgarden's Chris Cornell and Ben Shepherd. The performance later resulted in the 1997 live album We're Outta Here!. "He was a star and the most influential punk rock bassist," Johnny Ramone said in a statement. "I believe he has influenced every kid playing bass that saw him perform. ... He was my friend and I will always miss him." He last shared a stage with his fellow Ramones in March, when the group was inducted into the Rock and Roll Hall of Fame. "I'll never forget Dee Dee's classic acceptance speech at the Rock and Roll Hall of Fame ceremony," Ramones manager Gary Kurfirst said in a statement, "when he walked up to the microphone and said, 'I would like to thank myself, and congratulate myself, and if I could, I would pat myself on the back.' That was Dee Dee, direct and to the point. ... Dee Dee Ramone was punk rock. I'm really going to miss him. He was truly a unique individual and there will never be anyone like him." "He was sort of a wacky guy who wrote great songs," said Deborah Harry, whose band Blondie, like the Ramones, emerged from New York's CBGB scene. "He was a really good songwriter, though a little self-destructive. He was always nice to me, and we always had a good time together. He was a lot of fun. "He had this sort of manic energy," she added. "I always thought that the Ramones were this tactical force, like the Marines jumping out of a plane or something. They had this focus and energy that I really admired." 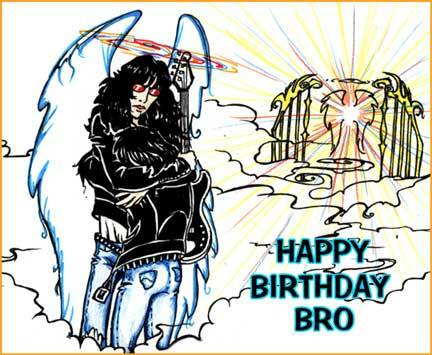 "I was still working out the final details on Joey's headstone when I got the shocking word that another brother in our extended family was gone," said Mickey Leigh, Joey Ramone's brother. "For me, he was one of the greatest rock and roll songwriters alive. Today, sadly, another life becomes legend. My heartfelt sympathies go out to his wife, family and friends." 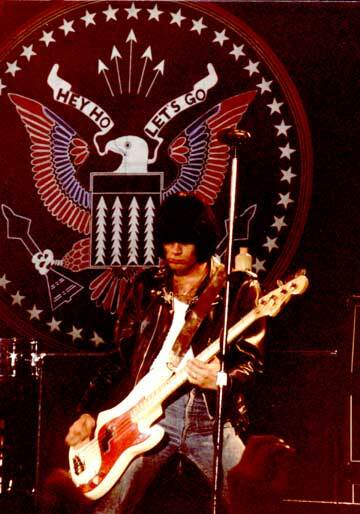 LOS ANGELES, California (CNN) --Dee Dee Ramone, bassist and one of the founding members of the seminal punk band the Ramones, was found dead in his Hollywood home, the Los Angeles coroner's office said Thursday. He was 50. Ramone's death apparently was the result of an accidental drug overdose, said Katie Elliot, spokeswoman for Ramone's manager. Drug paraphernalia, including a syringe, reportedly were found in the kitchen of the home. Elliot said it is not known what kind of drug was involved. The Associated Press reported the bassist was found dead Wednesday night by his wife, Barbara. The coroner's office did not say what drug was suspected of causing Ramone's death, the AP reported. An autopsy was performed Thursday, but conclusions about the cause of death were deferred pending toxicological tests, spokesman David Campbell told the AP. Those results could take several weeks. The Ramones were inducted into the Rock and Roll Hall of Fame earlier this year. Dee Dee Ramone was one of three surviving original members of the pioneering punk band; lead singer Joey Ramone, born Jeffrey Hyman, died in April 2001 of lymphoma. The other original members are Tommy Erdelyi, who took the name Tommy Ramone and was also the group's manager; and John Cummings, who took the name Johnny Ramone. Tommy Ramone was eventually replaced by Mark Bee (Marky Ramone), who was in turn replaced by Richard Beau (Richie Ramone). 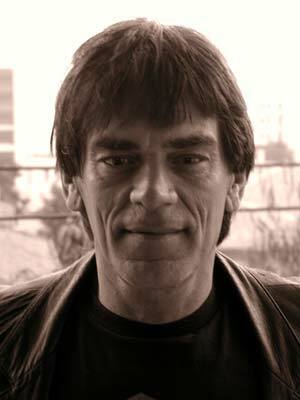 Dee Dee Ramone left the band in 1989 and was replaced by Christopher John Ward, aka C.J. Ramone. Founded in Queens in 1974, the Ramones soon took up residency at New York club CBGB, playing dozens of shows before they were signed. The group is credited with bringing a wider audience to the New York downtown music scene of the late 1970s, which, inspired by bands such as the New York Dolls and the Stooges, grew to include bands including Blondie, the Patti Smith Group, Richard Hell and the Voidoids, Television and Talking Heads. The band's music was described as "pure rock and roll" from its first, self-titled release in 1976. The Ramones' songs, which were often played at breakneck speeds and seldom lasted longer than three minutes, included "Sheena is a Punk Rocker," "I Wanna Be Sedated," "Blitzkrieg Bop," and "Rock 'n Roll High School." The group was extremely influential. A 1976 tour of Great Britain helped bring about the punk/New Wave explosion in that country in the late '70s. Several notable producers, including Phil Spector, Todd Rundgren, and Graham Gouldman, tried their hands at recording the group, with mixed results. After leaving the band, Dee Dee Ramone briefly became a rapper, then was involved with an ill-fated punk supergroup including the Dolls' Johnny Thunders and the Dead Boys' Stiv Bators. In recent years, he formed a Ramones cover band and became a painter. He also wrote an autobiography, "Lobotomy: Surviving the Ramones." The Ramones played its last show in 1996, after which members parted ways.